The focus UMBC places on allowing undergraduates to perform research has prepared me to attend graduate school. The URA program is excellent at preparing students for research demands beyond their undergraduate career. James Loy, a 2012 Burgee Regent Scholar, dove into research opportunities at UMBC. By joining Matthew Pelton’s physics lab when Pelton was still relatively new to UMBC, Loy “experienced research from the posing of the problem through to publication,” he says. Loy is an author on a paper published in the peer-reviewed journal ACS Energy Letters. 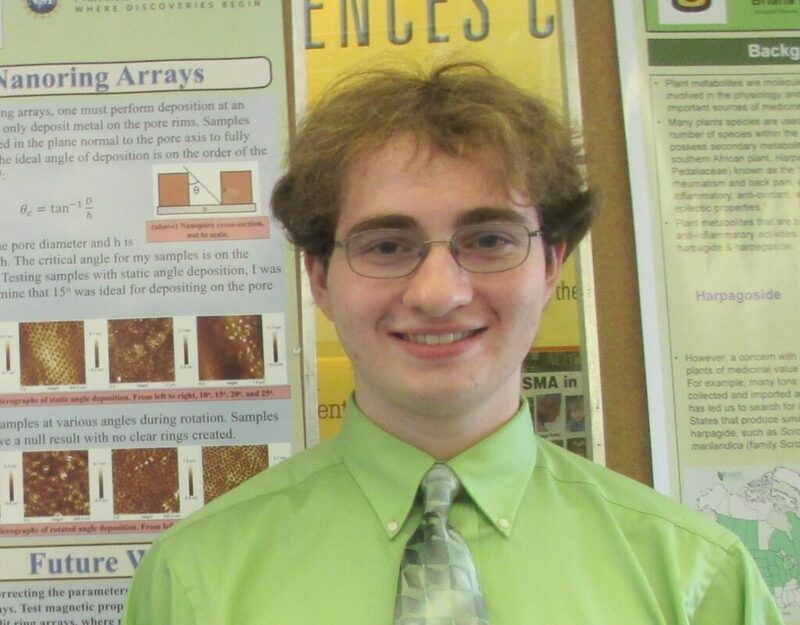 He received undergraduate research awards for his work in the 2014-2015 and 2015-2016 academic years and extended his research beyond UMBC by participating in a Research Experience for Undergraduates (URA) in Missouri focused on nanofabrication. “The focus UMBC places on allowing undergraduates to perform research has prepared me to attend graduate school,” Loy says. In addition to his academic success, Loy served as secretary for the Honors College Council, 2013-2014. Images: Loy at his poster presentation following an REU in Missouri; photo courtesy of James Loy. Header portrait by Marlayna Demond ‘11 for UMBC.